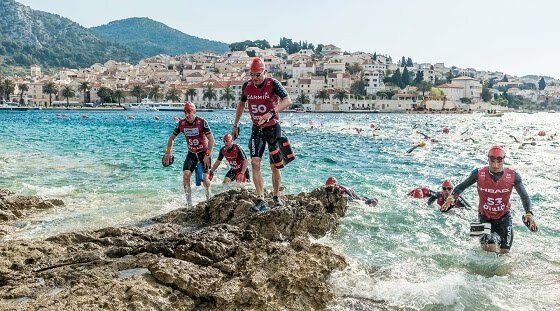 Great news for the island of Hvar, as it has been announced that the 3rd edition of ÖTILLÖ Swimrun will once more take place on Central Dalmatia’s sunshine island. The Swedish adrenaline race will once more take place in Hvar Town and surrounding area on April 6-7. ÖTILLÖ is the origin of Swimrun, a new endurance sport driven by respect and dedication. Swimrun is about experiencing nature in the purest possible way, with Respect for yourself, for your team partner, for others and for the environment. The ÖTILLÖ Swimrun World Series is the premium brand in Swimrun providing sustainable events of the highest quality which challenge your mental and physical endurance. We are dedicated to recreate the ÖTILLÖ experience in unique places around the world and to inspire the growth of a community that shares our values. The event is a key part of the adventure tourism calendar of Hvar, which has expanded considerably in recent years, as the island looks to brand itself as an adventure tourism destination. One of the world’s top cycling teams, Bahrain Merida, recently completed their second year of winter training on Hvar, one more string in the bow of Hvar’s adventure tourism offer. To learn more about the island of Hvar, click here.